This Kyser Low-Tension Quick-Change Capo has 25% less spring tension for an even easier fit. 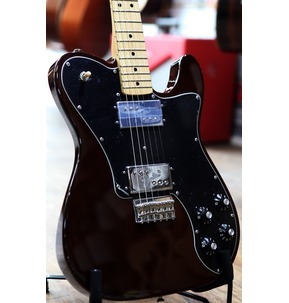 Many modern guitars feature thinner necks and low-action set-ups; where the strings are close to the fret board. 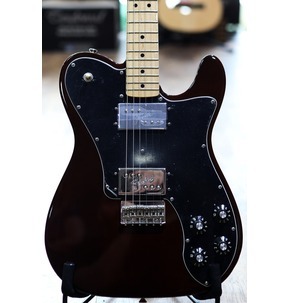 This makes for easier playing, and because of this, less spring tension is required to fully hold down all six strings when using a capo. 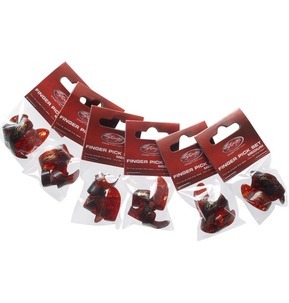 The Kyser Low-Tension Quick-Change Capo easily allows guitarists to obtain the perfect amount of tension when changing keys up and down the neck without worrying about strings being pulled sharp by too much pressure. 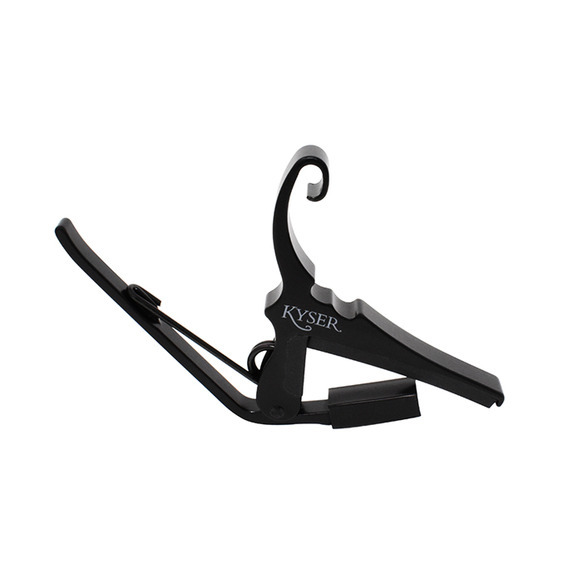 The Kyser Low-Tension Quick-Change Capo is the same tried and true design that musicians all over the world depend on and now it’s available in a Low-Tension matte blackout finish - matte black finish, black spring, black boot, dark gray rivet, dark gray logo. 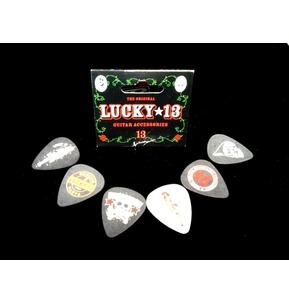 The Kyser Low-Tension Quick-Change Capo works on both acoustic and electric 6-string guitars. 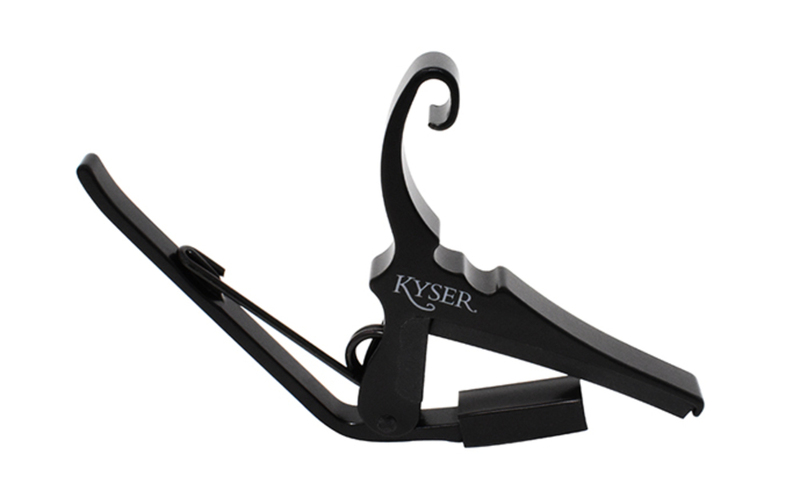 The beauty of the Kyser Quick-Change capo is in its simplicity. Kyser pioneered this design and although often imitated, a Kyser is never equaled. There is no substitute for a genuine Kyser Quick-Change capo. Made by hand in Texas, USA. Guaranteed for life.